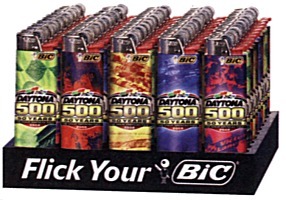 BIC Lighter pays homage to the world-famous race with its Daytona 500 50th Anniversary Collector Series lighters. Each lighter in this series features nostalgic racing moments at Daytona through 50 years of great racing and showcases the excitement that racing fans have come to expect from this famous track. �These lighters feature a variety of fresh and exhilarating designs that really capture the essence of racing at Daytona,� said Mark Funderburk, associate brand manager of pocket lighters at BIC Consumer Products USA. �The lighters will be available at select convenience stores nationwide beginning in 2008.� Suggested retail price is $1.69. BIC Corporation, Milford, Conn., Tel: (203) 783-2000, Fax: (203) 783-2086. The first truly affordable silent ionic air purifier started a revolution by delivering all the benefits of premium-purified air at an affordable price. The new Ionic Pro Turbo from Don Salvatore is 300% more effective than the competition, according to the manufacturer. Easy to use and energy efficient, the unit improves the air quality of indoor environments by trapping airborne allergens like smoke, dust, pollen, and pet odor and removes tobacco smell as well. Also available is the new Ionic Pro Turbo Car Ionizer which plugs into a car�s cigarette lighter socket. It works perfectly with almost any dashboard and operates silently and effectively with low energy consumption. A free DVD explaining more about this product and its features is available from the manufacturer. Don Salvatore, Chicago, Ill., Tel: (312) 733-6400, Toll-free: (800) 886-8688, Email: custservice@buddyproducts.com, Web: www.donsalvatore.net. Tissue-thin cigar wrappers are vulnerable to damage and can ruin a premium cigar. They often unravel in dry weather, or peel during handling or transporting, especially if the cigar lacks a cellophane sleeve. A simple and inexpensive solution to torn or dislodged wrappers is now available from Arango Cigar Co., in the Credo El Torcedor Repairing Kit for Cigars. When a piece of wrapper is begins to peel, simply lift it gently, and lightly apply the odorless, tasteless fluid beneath the leaf using the cap�s small brush. Then, press the wrapper back in place, and after a few minutes, the cigar is ready to smoke. The pure vegetable glue is the same recipe as used by Cuban torcedores. The Credo El Torcedor repairing kit is available to retailers in cartons of 12 bottles; suggested retail $3.60 per bottle. Arango Cigar Company, Northbrook, Ill., Toll-free: (800) 222-4427, Fax: (847) 480-1221. Manufactured in the USA, HeaterHolder is the perfect resting place for cigars while out on the golf course. The self-leveling device attaches to any standard rain hood snap found on most golf bags and pull carts. 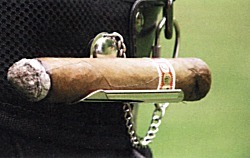 Measuring 3 inches long with a 4-inch safety chain, the clip easily accommodates a 52-ring gauge cigar. Featuring all-metal rustproof construction, the holders are available in a choice of electro-polished stainless steel ($20 retail), silver or gold plate ($99 retail), or Sterling silver ($185) and come individually packaged in a gift box. SW Burke Co., Middleboro, Ma., Tel: (508) 436-0427, Fax: (866) 245-8211, Email: wayne@swburke.com. The Csonka Triple Flame Ultra is the most-requested new Csonka jet torch item ever according to its maker. Featuring a great design that feels perfect in your hand, these stylish units feature an ultra-high-quality premium butane delivery system that lights dependably every time. 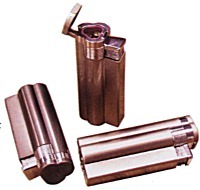 Easily refillable and child resistant, each unit ships filled with butane for easy sale. All Csonka sport enthusiast lighters can be customized with a name or logo and purchased in mass quantities; most orders are processed within 24 hours. Csonka Worldwide, Plainsboro, N.J.; Toll-free: (800) 276-6522, Tel: (609) 514-2766, E-mail: mchunko@csonka.com, Web: www.csonka.com. Written by Davide Blei and Luciano Bottoni, The Dunhill Petrol Lighter is the first-ever reference book on Alfred Dunhill�s production of petrol lighters, ranging from the first model introduced in 1914 to the last new petrol lighter catalogued in 1959. Aimed at both the neophyte who wants to start collecting, as well as the advanced collector of exclusive top-of-the-line Dunhill models, it covers the catalogued collections as well as the special workshop pieces which became icons of their time during the 1920s and �30s. 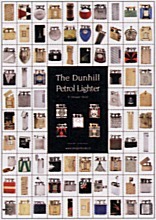 Written in collaboration with Dunhill Museum & Archive in London, the 346-page luxury edition book provides an extensive overview of the history and role of petrol lighters within the overall Alfred Dunhill product line; details of the production and commercial strategy used by the company to become a worldwide leader for petrol lighters; and a comprehensive photographic catalogue of Dunhill petrol. 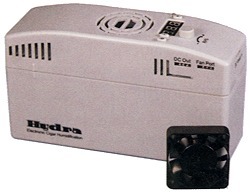 The Hydra Adjustable Electronic Cigar Humidifier, developed by Quality Importers Trading Co., is designed to automatically regulate the humidity inside humidors up to eight cubic feet in size. It features a large LED display for easy viewing, reports a humidity reading every 30 seconds, and utilizes proprietary HygroSet adjustable technology. Audible and visual low-water indicators prompt users for timely maintenance. The compact unit measures 6 in. long by 2 in. wide by 3 3/8 in. high. Two ports power optional external fans for circulating air in larger humidors. Other optional accessories include a fan kit (fan, splitter, cable), and replacement water cartridges. Suggested retail price of the base unit is $109. Quality Importers Trading Company, Inc., Pembroke Pines, Fla., Tel: (954) 602-5637, Fax: (954) 602-5638, Web: www.hydrahumidifier.com. 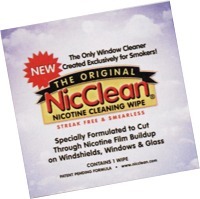 NicClean Nicotine Cleaning Wipes from Hawk Enterprises LLC were specially developed to clean nicotine buildup from all types of glass surfaces by breaking down nicotine film residue, dissolving it, and removing it completely. Ideal for automobile windshields and windows, residential and commercial windows, mirrors, TV�s and computer screens, it cleans without leaving streaks or smearing. Packaged in individually wrapped, 4 in. by 4 in. single-use packages, the wipe is moistened with NicClean�s patent-pending cleaning formula and backed by strong branding and an aggressive marketing plan. Product samples may be requested online, and distributor inquiries are welcome. Hawk Enterprises, LLC, Sartell, Minn., Toll-free: (800) 714-9319, Tel: (320) 260-9153, Web: www.nicclean.com.